We specialize in high voltage capacitors and resistors for tube radios. We carry high voltage film capacitors, high voltage electrolytic capacitors, silver mica capacitors and AC-rated line filter safety capacitors for tube radios. We sell 630 volt & 1600 volt Orange Dips and 630V, 1000V, 1600V & 6000V tubular axial film capacitors. Also on sale are Electrolytic capacitors with long axial or radial leads and high working voltages, ideal for tube radio repairs and restorations. We also carry 500V clamp mount single and dual-section Can electrolytic capacitors with solder lugs. Safety / Interference Suppression and 500 volt & 1000 volt dipped silver mica capacitors are also on sale. Our product line includes 630V, 1000V, 1600V and 6000V tubular metalized polypropylene and metalized polyester film capacitors with axial leads; 630 volt metal-foil polypropylene and metalized polyester orange dips; 630V polystyrene; 1600 volt metalized polypropylene orange dips; 500 volt & 1000 volt dipped silver mica capacitors; 400 volt & 630 volt Mylar film capacitors; 1600 volt & 2000 volt ceramic disc capacitors; 250 VAC ceramic disc X1/Y2 AC rated safety capacitors, 275 VAC metalized polypropylene X2 (across-the-line) and 250 VAC metalized polyester Y2 (line-to ground) safety & interference suppression capacitors and radial, axial and can type electrolytic capacitors and capacitor clamps. 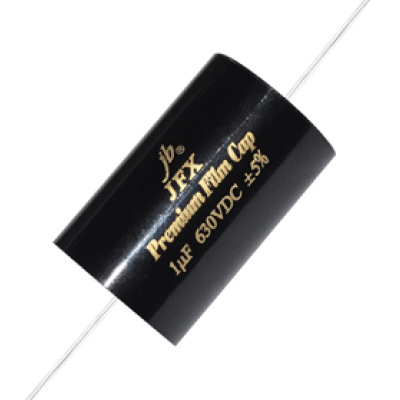 For our customers that work on "high-end" audio we carry 400V and 630V film capacitors...."jb JFX Premium Metallized Polypropylene Film Capacitors". These are for use in high-end audio/speaker/amplifier applications. JustRadios Capacitor Product Line has been specifically chosen for vintage tube radio applications. We carry "hard to find" pre WWII MFD/uF tube radio sizes so you can restore your radios to original factory specifications. 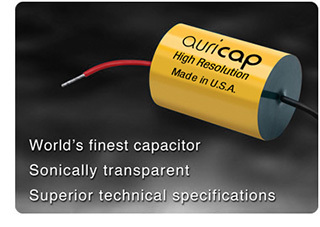 For "audiophile" applications we now carry Audience Auricap / Auricap XO Audiophile capacitors. For your "precision test equipment and audio circuits" we carry 1% & 2% precision silver mica, 1% polystyrene and now 1% precision & 2% precision metallized polypropylene capacitors up to 2uF. We also sell Capacitor Kits and Resistor Kits for tube radios. If you are new to antique tube radio restorations, here are some practical Capacitor Tips for the Beginner. Are you familiar with the advantages of using line filter safety capacitors?....learn more at ABC's of Safety Capacitors for Tube Radios. On sale: High voltage electrolytic, film, silver mica and x1/y2Y, Y2 & X1 safety capacitors / condensers for vintage tube radio restorations. All capacitors have high voltages and long radial or axial leads for easy "under chassis" installation. Can type with solder lugs also now available. Our Capacitor Product Line has been specifically chosen for tube radio applications. Fresh stock Electrolytic Capacitors are available at 25/50/100/160/250/350/450/500 volt & 600 volts. Depending on working voltage, electrolytics are available at 0.47uF, 1uF, 2uF, 2.2uF, 3.3uF, 4uF, 4.7uF, 5uF, 6.8uF, 8uF, 10uF, 12uF, 15uF, 16uF, 20uF, 22uF, 25uF, 30uF, 33uF, 40uF, 47uF, 50uF, 60uF, 68uF, 80uF, 100uF, 120uF, 150uF, 200uF, 220uF, 250uF, 330uF, 350uF, 500uF, 1000uF, 1500uF, 2000uF,2200uF, 3000uF, 3300uF, and 5000uF. All electrolytics are polarized except for our 100V which are non-polar/bi-polar. We also sell premium quality, high voltage (630 Volt & 1600 Volt) Orange Dips and 630 Volt, 1000 Volt, 1600 Volt & 6000 Volt tubular axial leaded film capacitors (all sizes 0.0005 mfd thru 2.0 mfd). Choose from Metal-Foil Polypropylene Capacitors, Metalized Polyester Film Capacitors, Polystyrene Capacitors, Metalized Polypropylene Film Capacitors and Mylar Film Capacitors as well as Extra High Voltage Orange Dips and Ceramic Disc Capacitors at 1600V and 2000V. For our customers that work on "high-end" audio we have 400V and 630V film capacitors...."jb JFX Premium Metallized Polypropylene Film Capacitors". These are for use in high-end audio/speaker/amplifier applications. For "audiophile" applications we have just recently added Auricap/Auricap XO Audiophile capacitors. 500 volt dipped silver mica capacitors are on sale in a full range of sizes from 1pf to 10000pf. Also available are AC rated X1/Y2 line bypass safety capacitors and X2 (across-the-line) & Y2 (line-to-ground) safety / interference suppression capacitors. For the bargain hunter, we have 630 volt Mylar Capacitors on sale in "Bags of 50" at the Mylar Bargain Bin and Capacitor Kits. or..... much faster than the Shopping Cart "if you are ordering many different sizes and types" of capacitors and have Excel on your computer. Use our Excel orderform. Just email us a completed copy of the EXCEL Spreadsheet Order-Form and pay "online" via Credit Card or PayPal. All major credit cards are accepted. If you don't use Excel or Shopping Carts you can just email us at: justradios@yahoo.com . Tell us quantity of capacitors you need by uF value, voltage and type. Based on $ price list , you can calculate amount payable. To order capacitors by mail use our EXCEL Spreadsheet Order-Form or print and complete a Capacitor Order Form if you do not use excel. Mail it with payment (MO, PO or check) payable to Dave Cantelon, 6 Ferncrest Gate, Scarborough, Ontario, Canada, M1W1C2. All capacitor prices are in US $'s. Fixed world-wide airmail shipping for capacitor orders under $100 is just $7.90. 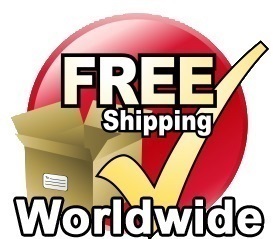 Free worldwide airmail shipping for all capacitors orders over $100.00. 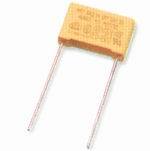 10% discount for all capacitor orders over $149.99 (excluding capacitor and resistor kits). We are glad to ship capacitors world-wide. Constructed with Polypropylene film dielectric aluminum foil electrode, copper plated steel leads, outer wrapped with polyester film type and ends sealed with epoxy resin, in non-inductive type. MFD/uF sizes available and $ Price List. 630V Tubular Axial Film Capacitor Kits with free USA/Canada shipping. Available in "hard to find" tube radio mfd/uF sizes such as 0.002 uF and 0.005 uF, etc. Capacitance tolerance of +/- 10%. Precision 2% also available for select sizes. Long life due to self-healing effect. Available in "hard to find" pre WWII sizes such as 0.002uF, 0.005uF, 0.02uF, 0.05uF, 0.5uF, etc. Excellent for use in tube based radios, amps, televisions and test equipment such as Scopes where a premium quality capacitor with high stability and reliability are required. Also ideal for telecommunications, industrial and general electronics equipment. 630V Orange Dip Capacitor Kits with free USA/Canada shipping. 630V Orange Dip Film Capacitor Kits with free USA/Canada shipping. Construction: Premium "audiophile" grade metallized polypropylene film dielectric with tinned pure copper axial leads. Very low dielectric absorption factor, very low dissipation factor, very low ESR and very low inductance. MFD/uF sizes available and $ Price List. 630V jb JFX Capacitor Kits with free USA/Canada shipping. +/-5% tolerance. Also 1% precision for select sizes. 1% and 2% Precision Tolerance available for 500V mica. Available in large selection of pF(MMFD) sizes from 1 pF to 10000 pF, including "hard to find pre-WWII mmfd sizes for tube electronics restorations. 630V Mylar Film Capacitor Kits with free USA/Canada shipping. Capacitance tolerance of 10% (1 KHZ 20C). Dissipation Factor is 10% (1 KHZ 20C). Available in the mfd sizes needed for tube electronic restorations: 0.001uF, 0.002uF, 0.005 mfd, 0.01 mfd, 0.015 mfd, 0.02 mfd, 0.05 mfd, 0.1 mfd and 0.25 mfd. Available in the mfd sizes used in tube electronics: 0.001uF, 0.002uF, 0.0047uF, 0.005uF, 0.01uF, 0.015uF, 0.02uF, 0.033uF ,0.05uF, 0.1uF and 0.25uF. 10%, 5% and 1% Precision Tolerance available. Construction: Auricaps are made in USA with the very best precision wound metalized polypropylene film with extended foil (non-inductive) construction. Special care is taken to insure industry leading ESR values. Applications: High end Audiophile uses include: signal coupling, loudspeaker crossover apps, power supply decoupling, filtering, bypassing and power factor correction applications. If you are restoring vintage tube radios ... absolutely no need to use these audiophile capacitors. Our other lines of film capacitors are ideal for tube radios and are way more economical than audiophile capacitors. In addition to the traditional Auricap audiophile capacitor (pictured at left) and its successor the Auricap XO, we carry the unique R version where solid tinned copper leads exit from the "periphery" of the Auricap body (as pictured above). Leads: Auricap and Auricap XO use "stranded" hookup leads. Auricap leads are made of polished, stranded High Purity Oxygen Free Copper with XLPE insulation while Auricap XO use insulated OHNO mono crystal leads. The R version uses "solid" tinned copper leads. Although some people refer to the R version as radial, they are actually tubular (same body as Auricap) but with solid leads and unique lead position which makes the R version ideal for circuit board and/or hand wired applications. We provide free black and red heat-shrink with these unique R version Auricap capacitors.